This Halloween let Max-Arthur show you the world; shining, shimmering, splendid. 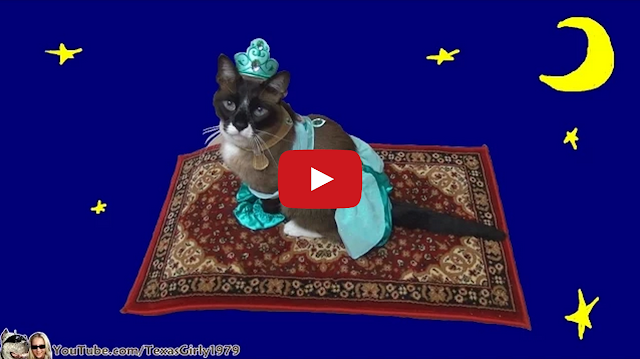 The 13-year-old snowshoe cat swapped out last year's famous shark costume for a new Princess Jasmine ensemble from Disney's Aladdin. This majestic kitty is off to explore a whole new world on his Roomba-powered magical flying carpet; and he'll even clean your floors while he's at it.